Due to their endangered status and the fact that individual fish are important to recovery of the species, extra care is required in handling pallid sturgeon. A detailed protocol was developed by the U.S. 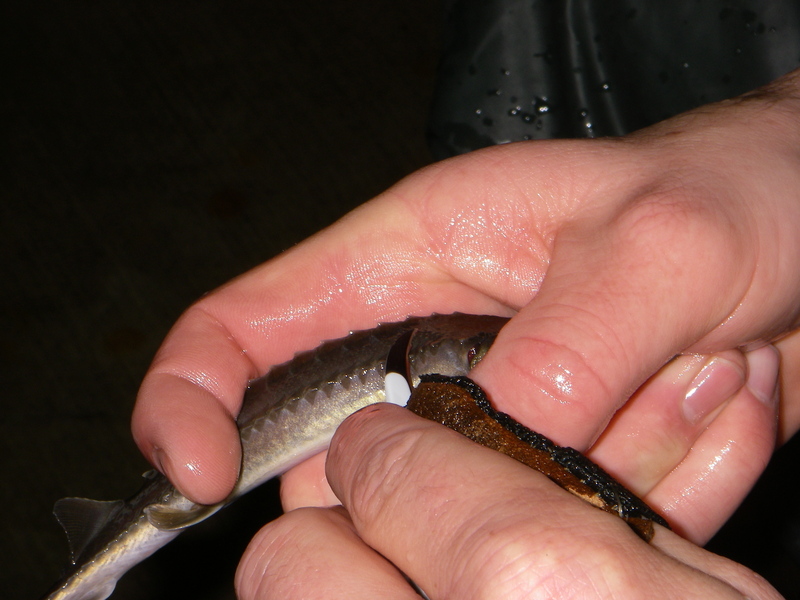 Fish and Wildlife Service in cooperation with the Pallid Sturgeon Recovery Team for activities involving collecting, tagging, holding, handling, and transporting pallid sturgeon. Prior to performing any work with pallid sturgeon, researchers and managers are required to obtain a Federal endangered species permit or sub-permit. In Louisiana, Mississippi, Arkansas, Tennessee and Kentucky contact 904-731-3191. In Missouri, Illinois and Iowa contact 612-713-5343. In Nebraska, South Dakota, North Dakota, and Montana contact 303-236-4256. Questions, comments or suggested changes to the protocol should be directed to, Pallid Sturgeon Recovery Coordinator, U.S. Fish and Wildlife Service, 2900th Ave North, Suite 301, Billings, MT 59101 or at (406) 247-7365. Proposed activities should also be coordinated with appropriate State agencies where a State permit may also be required. Deviations from the protocol may be requested during the application or renewal process. 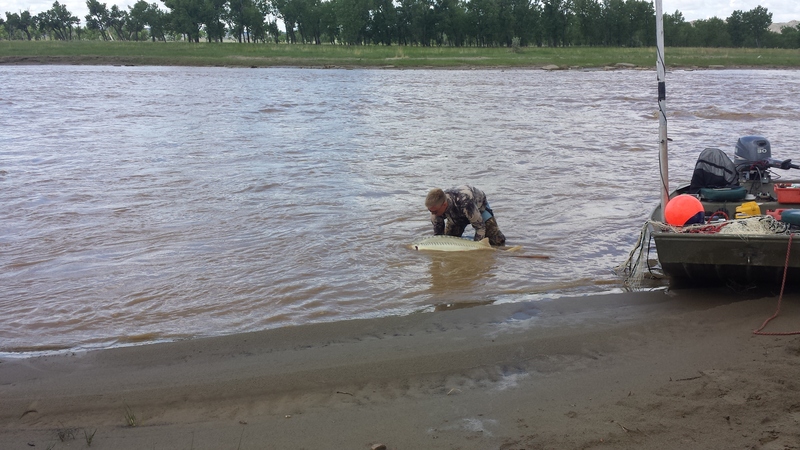 Researchers and managers should use their best judgment in cases where guidelines are not directly applicable, or if in question, contact the Pallid Sturgeon Recovery Team Coordinator. The protocols will be followed to ensure that the best techniques are used regarding collecting, tagging, sampling, holding, culture, transporting, and data recording of pallid sturgeon in order to minimize loss of pallid sturgeon associated with permitted activities. 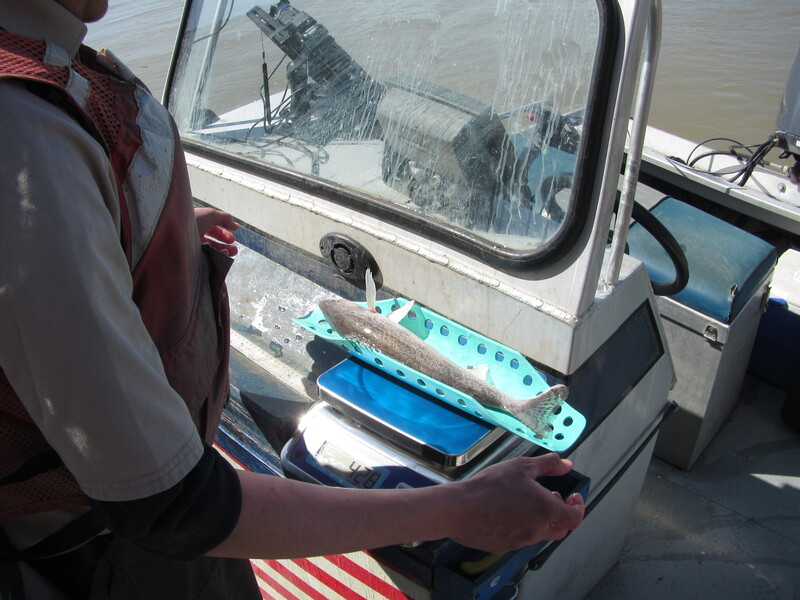 During sampling all sauger lengths and weights are recorded for future data analysis. 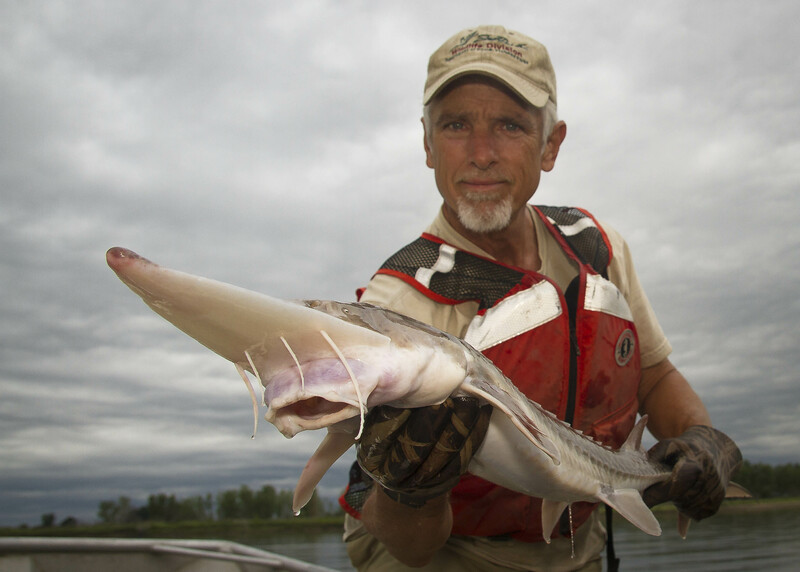 The primary intent of these guidelines and procedures is to reduce the risks of loss of pallid sturgeon by reducing the severity, duration, and the number of stressors, while still allowing for the data collection to expand our knowledge of these fish. 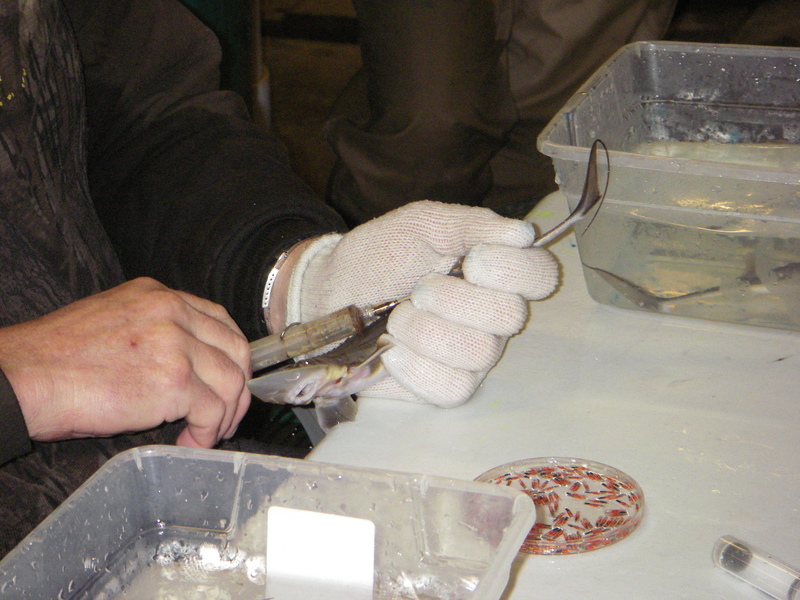 All personnel that work with pallid sturgeon will be trained to handle the fish.